I have replace my Xbox 360 three times in 3 years because of RRoD. I was luck enough to have the BestBuy replacement policy so I was able to replace the first 2 without question. The first time I thought it was a fluke and happily returned the Xbox for a replacement. It was only a few months after the replacement that I got the RRoD again. I started to do some research and soon realized that is was a widespread problem and Xbox’s that were “repaired” by Microsoft were still having the RRoD months later. I took one more chance an replaced the 2nd RRoD Xbox thinking that the new shipment might have addressed this issue. I was fine for a while but wouldn’t you know it happened again just as my warranty expired. I had to take matters into my own hands and fixed the RRoD myself. Hopefully some good news, better late than never. In an article from Edge Online Microsoft’s Product manager Aarron Greenberg, stated that they have put the RRoD issues behind them. They have found the hardware issue and have resolved them in the newest hardware revision call Jasper that came out in Xbox 360’s late last year. 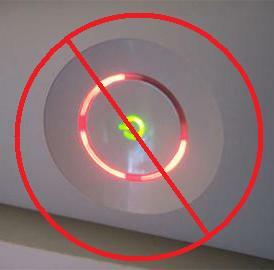 It might just be safe to go out an buy an Xbox 360 even if you have been burned in the past. I would like to know if anyone else has had any issues with the new Jasper hardware. by fixing that hardware flaw, if you buy a new xbox how long has it been on the shelf, also how will microsoft control the number of xboxes that are of older years that may have the rrrod, my main conflict is its easy to go to a store and buy a new xbox but its not really new its been sitting in warehouses and being shipped around, also its been circulating between inventory of multiple stores and such. that is broken, just like you can still buy a new sega dreamcast, yes new they still have almost 250,000 sega dreamcast units that are backordered and didnt sell over the years now their collectors items but they are factory sealed and pretty much old as can get but they are in mint condition due to being unopened and sealed in plastic but even they can be flawed due to being produced in unknown years shelf time alters electronics. mainly because i had an xbox original that got broken had disc read errors it used to be a big problem, i decided to get another one so i did, later on i find out the new models of xbox’s dont get the error so i sell my old one and go out and get a new xbox sadly it was made in 2003 even though i bought it 2006 it eventually crashed with the same region error code 7.